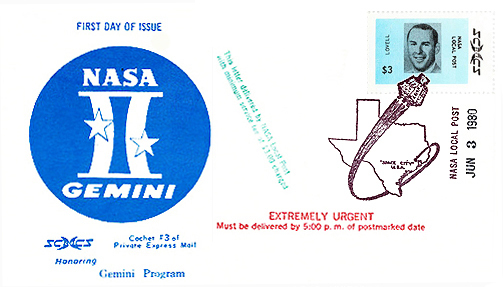 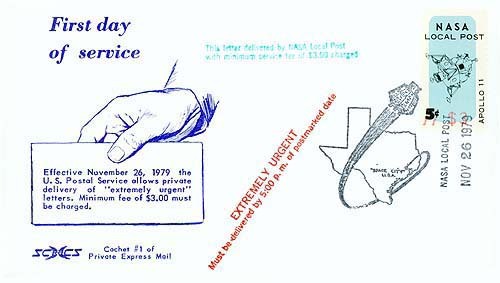 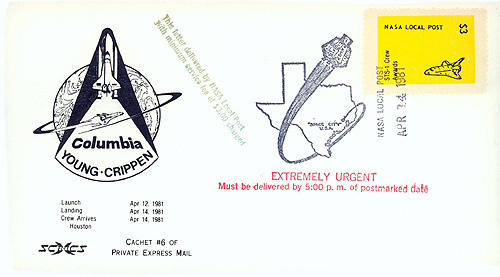 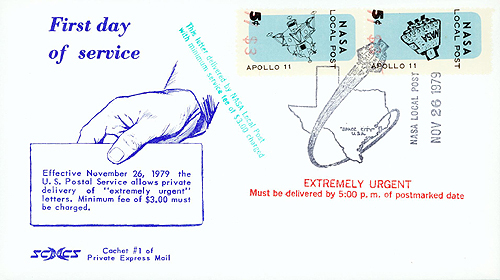 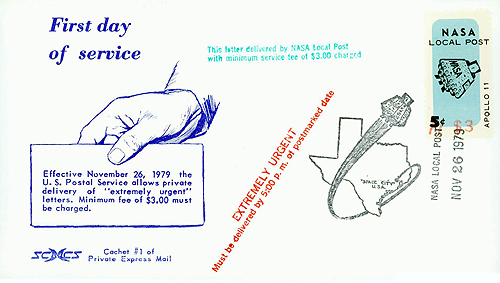 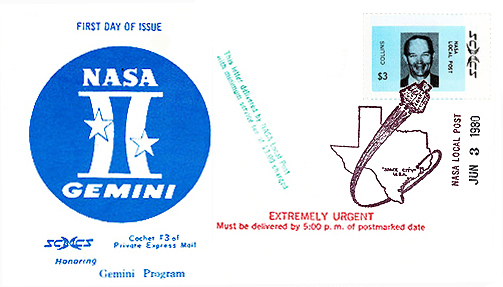 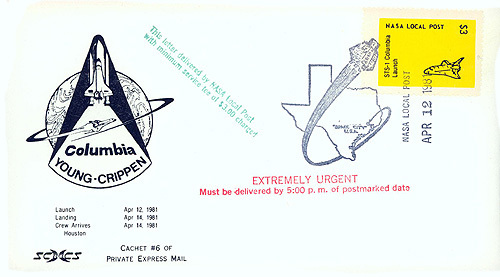 Two additional rubber stamped markings will appear on the Private Express Mail Covers in addition to the NASA Local Post Cancel. 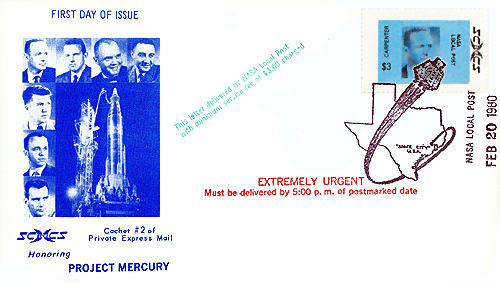 These markings are required to meet postal regulations for delivery and handling of the “extremely urgent” mail. 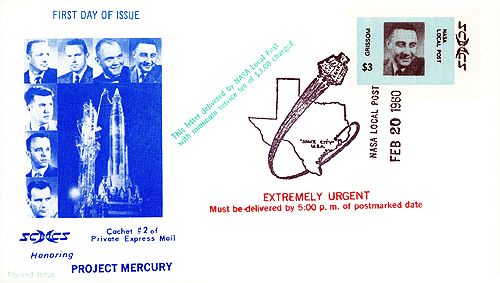 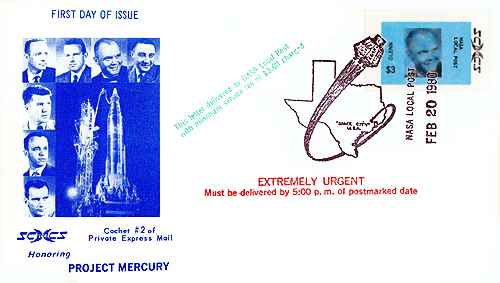 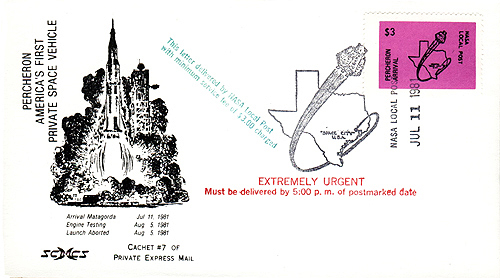 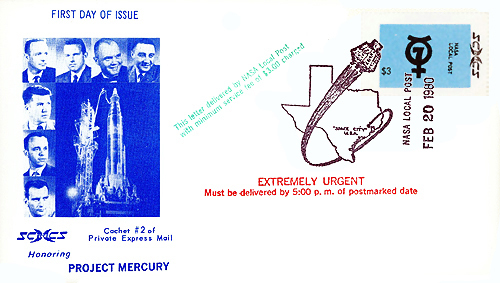 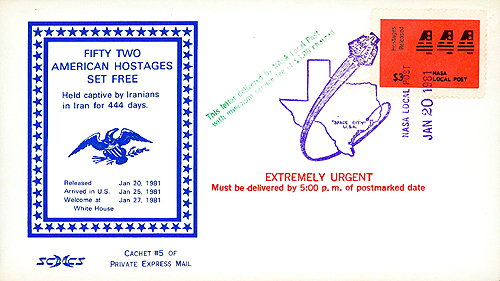 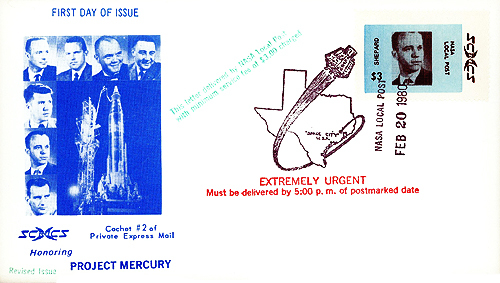 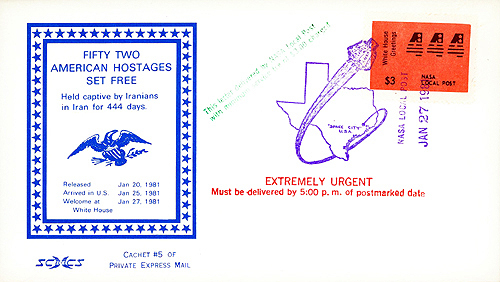 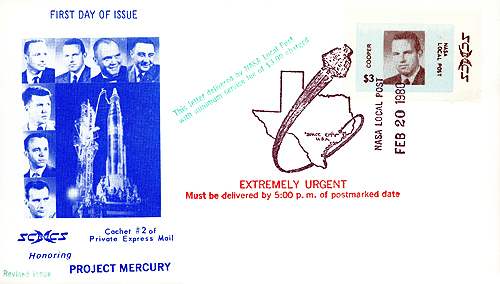 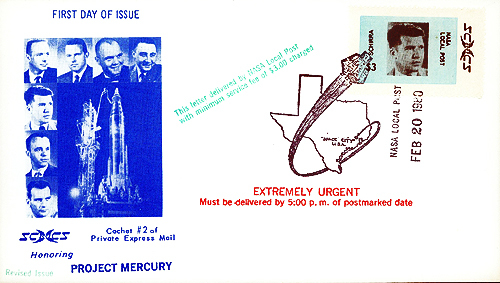 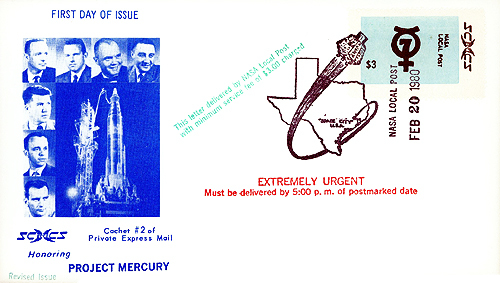 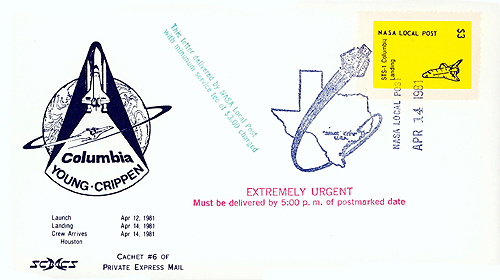 Cover is stamped "Revised Issue"
Booklet #5 Arrival In U.S.
on the pad due to a malfunction.